While stroke remains the leading cause of adult disability in the United States, 80 percent of strokes can be prevented. 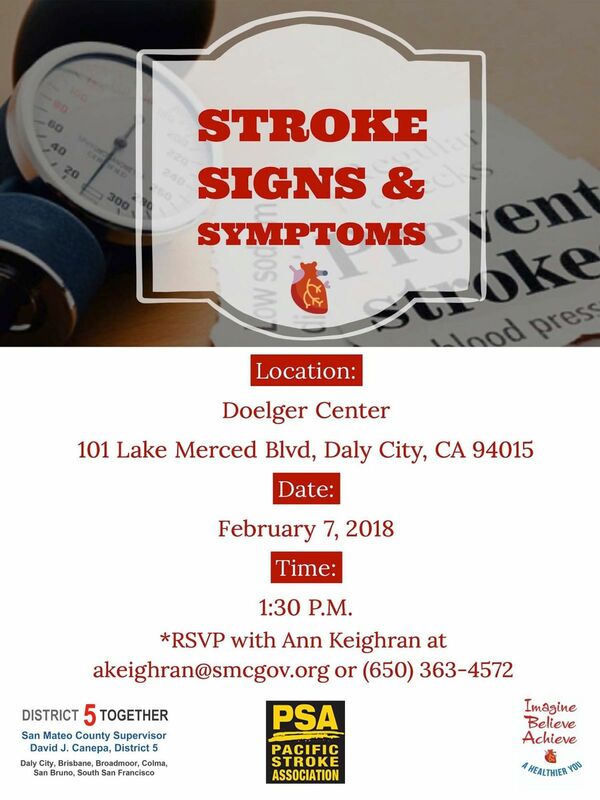 That’s why my office is hosting a “Stroke Signs and Symptoms” event in partnership with the Pacific Stroke Association at the Doelger Center, 101 Lake Merced Blvd. in Daly City, 1:30 p.m., Wednesday Feb. 7. Stroke may cause physical paralysis, speech problems, memory loss and other disabilities. At the event we will learn the symptoms and how vitally important it is to seek immediate medical attention. Pacific Stroke Association is a local, community based nonprofit organization serving Santa Clara and San Mateo counties since 1998. 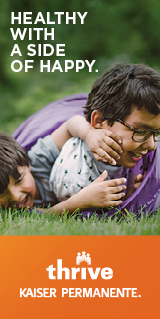 PSA’s mission is to reduce the incidence of stroke through education and to help alleviate stroke’s devastating aftermath through support programs for stroke survivors and family caregivers. RSVP to Ann Keighran at akeighran@smcgov.org or call (650) 363-4572 if you would like to attend.